Mastiff Games | "DESTROY ALL FANBOYS!" Holiday Gift Guide 1: Let’s Get Physical! It’s been quite interesting living in an all-too digital world and seeing how gifting has changed for many folks who go that route with nearly every purchase. Me? I like giving and receiving actual product for the most part unless it’s a case where the only way to get something is via a code voucher of some sort. That said, I feel kind of bad for kids raised in this era where some parents or other tech-savvy adults seem to hate on the very idea of handing a kid something nicely wrapped that’s NOT another gift card that devalues over time if not used up for a place they’ll never visit in person. So, in the interest of getting you out of the house and offline for oh, maybe an hour or two, I’m tossing a few suggestions your way (which are also available in digital form if you like). LEGO Worlds (PC/PS4/Xbox One/Switch)- Ever-busy developer TT Games pulls out all the stops in this great sandbox game that’s packed with content and a ton of freedom once you get past the tutorial and early story missions. This is one of those great family games that’s so much fun to play you’ll want to sneak in some time alone once that kid is asleep. On the other hand, you’d very likely want to play this with your kid or at least have a second controller handy as the game supports up to 2 players in either online or offline modes. Hours will zip by when this is on, but at least you won’t need to worry about stepping on loose LEGO pieces or having the family pet making them disappear after they smack part of what you’ve built under the sofa. Crash Bandicoot N. Sane Game & Sock Bundle Pack (PS4)- Can’t decide on getting games or socks for the holidays? Got a relative who auto-buys you socks because he or she has zero clue about games? Why not get BOTH with this bundle of completely remastered PS1 classics that include the first three games in the series lovingly reworked by Vicarious Visions with tons of new HD specific features? Between the redone visuals, the ability to play as Coco Bandicoot in all three games and a bunch of great stuff only those true masters of unlocking will get to see (yes, the games are as challenging as ever)l you get SOCKS you’ll probably actually wear at some point. But don’t try and stuff those stockings on the box with the game, as that would make for weird gift to receive and probably stretch out one of those socks in the process. Um, I think that’s it. Well, until next week when the game lands and Falcom fans worldwide get to check it out. We’re a small and loyal bunch of folks, but we do support our favorite developers when they get out the games we want to play. Incoming RPGs! Nihon Falcom Fans Get To Shake It And Smile Soon. Twice! It seems we’re in for a Nihon Falcom “revival” of sorts. Granted, PC versions of their games aren’t uncommon at all in Japan, but it seems they take a backwards route here in the west, coming over as console ports and a few years later, making it to PC gamers who also happen to be JRPG fans and want to see more of these titles and faster. 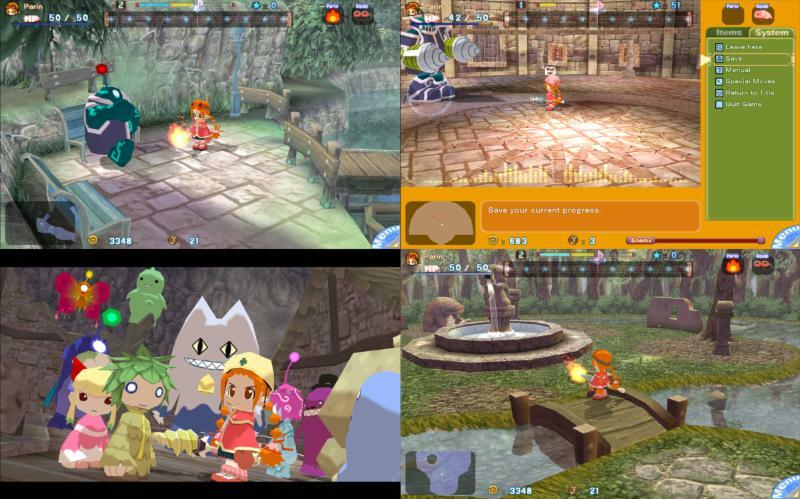 Anyway, we’re getting The Legend of Heroes: Trails in the Sky via Steam next week thanks to Xseed Games and it’s been recently announced that Mastiff Games is trying to get Gurumin: A Monstrous Adventure up on Steam as a Greenlight game. In the case of the latter, publisher Mastiff came up with the idea to give away the game to those who voted to Greenlight it AND leave a comment on the game’s discussion boards, but some feel this is a wee bit too much. I think it’s a fine idea, although it could backfire if EVERY person who wanted to see the game pop up as a product they should BUY ends up being a game they all get for nothing at all. I’d have made it a better giveaway by only giving codes to people who still OWN a physical or legal digital copy of the PSP game or happen to have the Japanese PC game somewhere in their possession. Granted, that number might be smaller than the votes needed to get the game on Steam, but it would have at lease quelled the light to medium annoyance some people are feeling who think the publisher is trying too hard to “game the system” as it were. 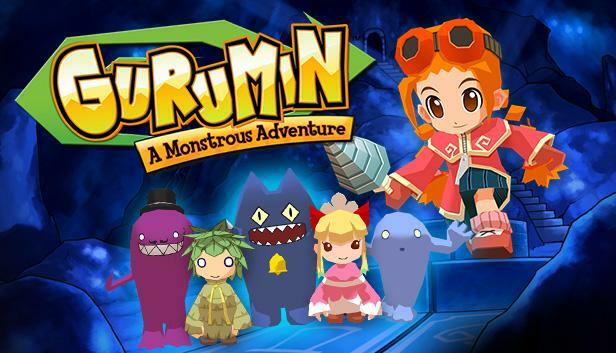 Even though I voted and posted a note, I still own my copy of Gurumin and will gladly post a photo here to score a free code if asked. 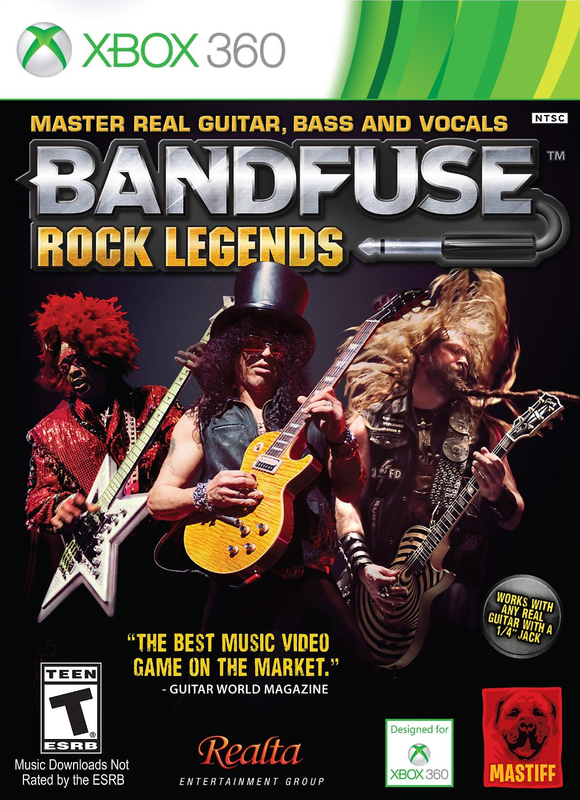 So, this took a while to get done, but that’s because BandFuse: Rock Legends isn’t a “game” in that traditional yearly franchise some of you were probably expecting. While there are indeed game-like elements to both this and Ubisoft’s solid Rocksmith (which has more game-y bits and pieces to it), I have to tip my cap to Realta Entertainment for coming out of the gate strong with a product that excels so well at delivering exactly what it promises in its first iteration that any future versions will most likely be in the form of add on DLC or disc updates as opposed to an entirely new product. Featuring what’s basically an entire guitar school in a box and thanks to some great yet simple tech, amazing lag free play, BandFuse is a must-buy for anyone looking to learn to rock out with the best of them.